After spending a few days in the amazing wine region of Mendoza, we set our sites on the costal city of Valparaiso in Chile. Valparaiso is rich in history and was a really beautiful place to spend the next few days. Getting there was an eight-hour bus with a border crossing. However, the border can be really busy and our bus journey quickly turned from 8 hours to 13 as we got stuck with suspected drug smugglers onboard. If you plan on taking this route allow plenty of time and patience – and please do not carry anything you shouldn’t! 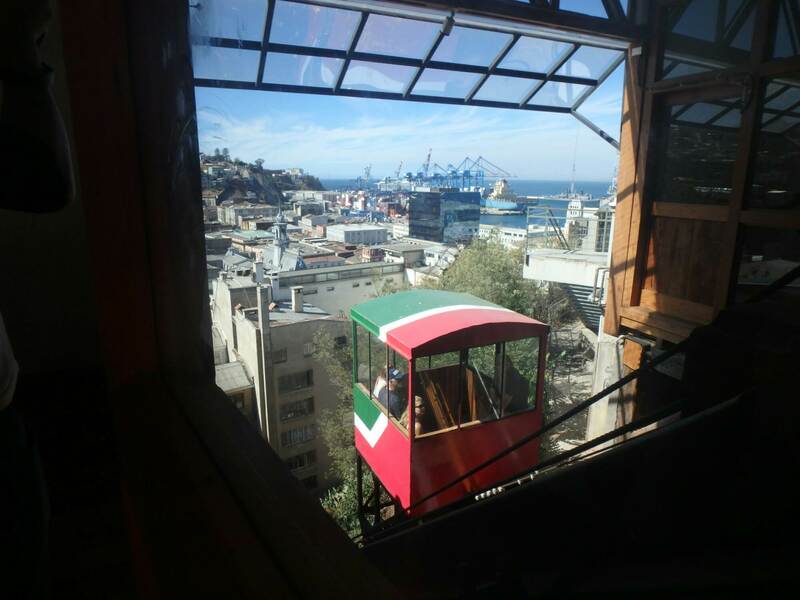 The easiest way to get to Valparaiso is from Santiago. Click the link to get all the info you need about the bus from Santiago to Valparaiso. Wow Valparaiso! It is a city where there is always something to do, from huge street markets to tours of the city’s rich history and plenty of places to wet your mouth and enjoy local beer – it is an ideal location to stop for a few days when traveling Chile. We spent our first day walking the streets taking in all the hustle and bustle of the markets eating amazing fruits along the way before joining the famous “Tours for Tips”. These tours are run really well with both English and Spanish speaking guides and its a great way to learn about the city. The tours are about 3 hours and run twice a day as both tours talk about different sides of the city from the amazing culture to the dark side of political problems like the dictatorship Chile lived under for 17 years. 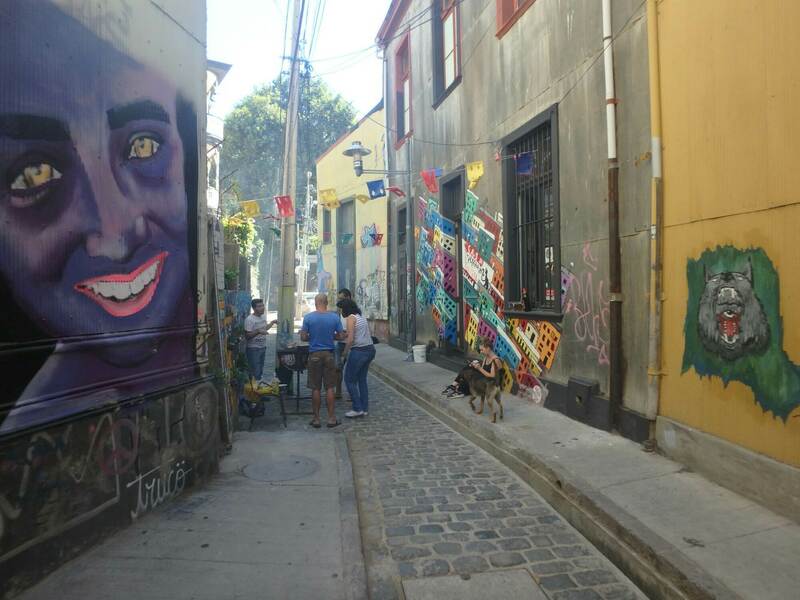 But tours aren’t the only way to take in the unique culture here, just walking the streets and shopping at the local food markets gives you an idea of modern life in Valparaiso. 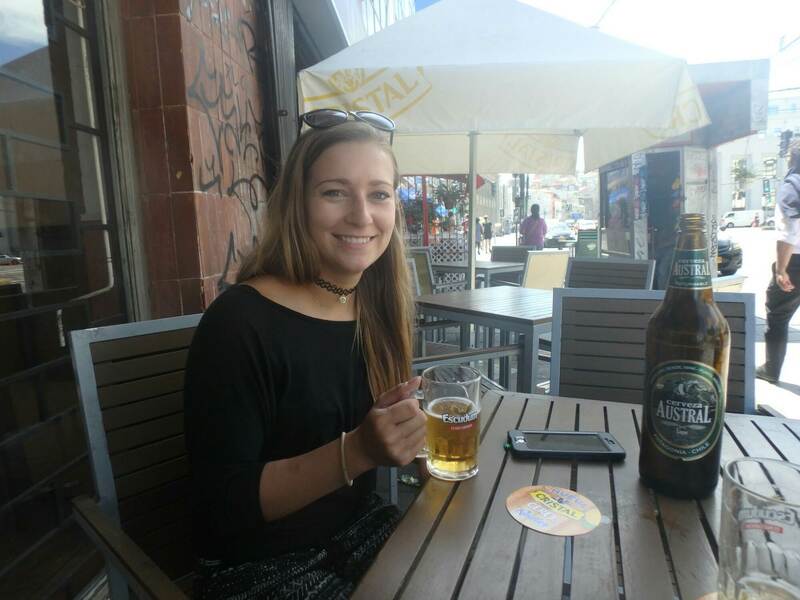 Also, don’t forget to hit the bars as the sun goes down as Valparaiso is known for having some of the best night life in Chile and every night of the week locals and tourists hit the streets for some great food and a few too many drinks! We were lucky enough to go out one night with the owners of our hostel and they took us to a rooftop bar (and by rooftop I mean like six stories climbing up ladder-like stairs.) There was live music and great vibe with a view of the city. Valparaiso is very interesting architecturally as it is built on a massive hill. This hill made life for locals living here years ago very difficuly to get around by foot, so they built “hill elevators” which are properly called Feniculars. We got to ride in a few of them and it is a much less exhausting way to get up the hill. The city is also a UNESCO world hertigae site which means the buildings must remain architectually untouched. Street art covers the walls of almost every building as a way to prevent tagging that commonly occurs on buildings without murales. 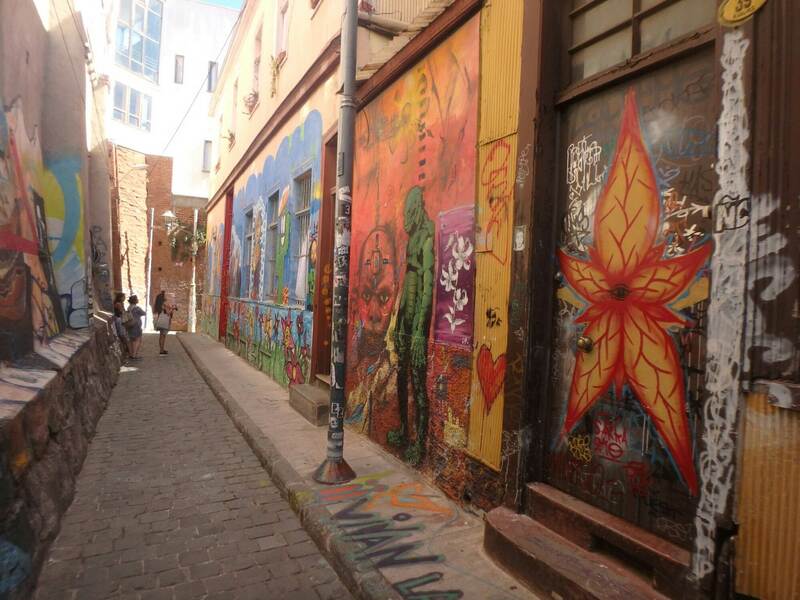 We spent 4 days in Valparaiso but could have stayed alot longer, this is not a place to quickly stop over as there is so much to love about this city.